You see them every day and even sometimes on the weekend. You might share office space or eat lunch together every single day. Either way, you see them more than your family! You get to know your bosses or coworkers just as much as friends or family, we think that deserves a Christmas Gift! Not to worry, we will help you avoid those cliché or inappropriate gifts and awkward moments with our executive Christmas gift guide! 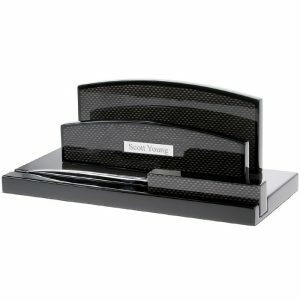 Help keep their desk and office space de-cluttered with a personalized desk organizer, Perfect to organize their pens, markers, paperclips and little extras. 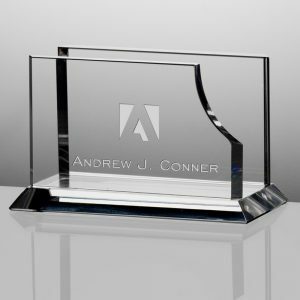 Engraved with their name and title, it is sure to make an impressive gift. 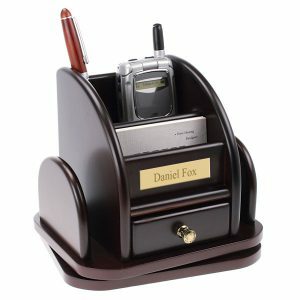 Upgrade to a personalized charging station for their phone, keys and other small personal items. Did one of your coworkers just receive a promotion? Help them celebrate this milestone with a personalized desktop business card holder. 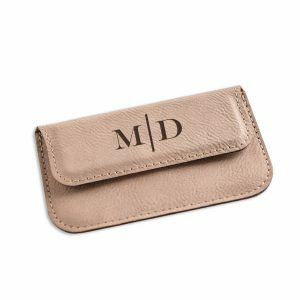 Engraved with a company logo or their name and title to match their new business card holders, adds a professional touch. Work with Doctors, Lawyers or Teachers? Our Custom Character items are the perfect gift! Customize their skin color, hair color and gender to really make it special! 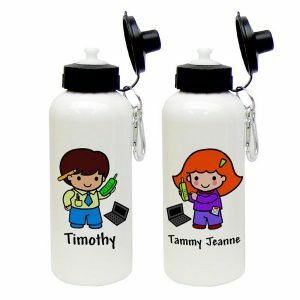 Personalize their custom character and put it on a mug for their daily coffee, water bottles, and Christmas ornaments! 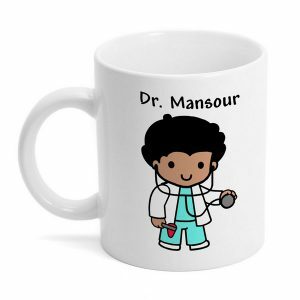 We also feature designs for different medical professions, hairdressers and police! When in doubt, go for the tried and true gift basket! Put together a collection of their favorite coffee or tea and sweet and salty snacks. Try this healthy omega rich holiday bark recipe, to really impress the office! 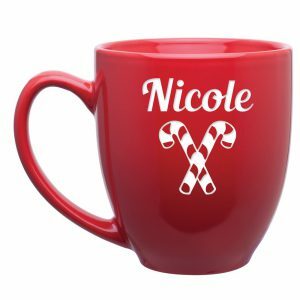 Include a personalized coffee mug or engraved travel mug to really make it a thoughtful gift. 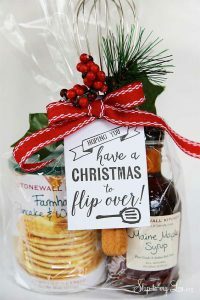 Here you can find some DIY tips and tricks for creating your own Christmas gift basket. 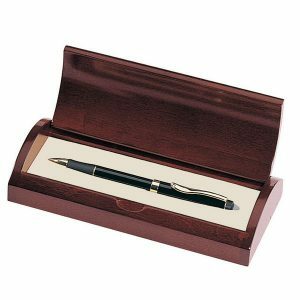 A personalized pen set is a distinguished gift that shows respect and gratitude. Every professional who signs their name on important documents deserves a personalized pen set! From pen and pencil sets to pen and letter opener sets in a variety of styles, we have a set for everyone on your list in the office. Exchanging business cards is the starting point to a business relationship. 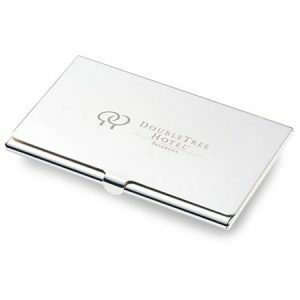 Help them land a deal in style or impress new clients in the coming New Year with a personalized business card holder. 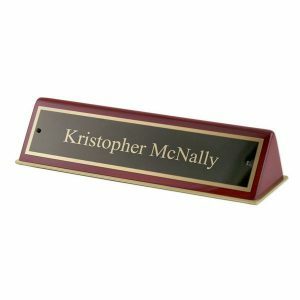 Add their name and title or monogrammed initials for a special touch; add a company logo to make it even more impressive! Ranging in styles and materials you can find one for your whole team. A Christmas gift for your coworker or boss needs to be professional and appropriate. Stay away from personal items like jewelry, perfume or clothing or anything too expensive. Cliché and gag gifts are a thing of the past, this year, avoid those awkward gift exchanges and inappropriate gifts with these gift ideas! Looking for a gift for your boss? Check out our Top Five Business Executive Gifts blog post for some great ideas. Do you have an office Christmas Tradition – Maybe a secret Santa or white elephant? Comment Below!